Director of Public Prosecutions Lillian Siyuni says some people are abusing human rights to demean Edgar Lungu on social media. Siyuni warned that insulting Edgar was not only legally wrong but morally bad for Africans, especially Zambians. “We will have issues and can relate differently, but there is no need to insult, especially the President, or any other elderly person,” said Siyuni. This is alarming! How is this in the Director of Public Prosecutions’ province? We are baffled! Why the Director of Public Prosecutions to publicly express it and force it down our throats? Balekwatako insoni namano! And moreover, is respect for the president or anyone else a matter for the Director of Public Prosecutions to force? Respect is earned, not forced. Confucius said, “Respect yourself and others will respect you.” If you want to be respected by others, the great thing is to respect yourself. Only by that, only by self-respect will you compel others to respect you. When we respect everybody around us, we are in peace with everybody around us. Respect commands itself and it can neither be given nor withheld when it is due. Respect is a two-way street, if you want to get it, you’ve got to give it. A Persian proverb says, ‘He who wants a rose must respect the thorn.’ If a president goes around belittling, insulting, abusing, brutalising others and talking nonsense, he will not get much respect. Treat people the way you want to be treated because what goes around comes around. Talk to people the way you want to be talked to. People are respectable only as they respect. Respect is earned, not given. Give to every other human being every right that you claim for yourself. Nothing is more despicable than respect based on fear of being dealt with by the Director of Public Prosecutions. It’s said that he that respects himself is safe from others; he wears a coat that cannot be pierced. Abraham Lincoln said, “If once you forfeit the confidence of your fellow-citizens, you can never regain their respect and esteem.” There is no respect for others without humility in oneself. When you practice gratefulness, there is a sense of respect toward others. Respect for ourselves guides our morals, respect for others guides our manners. This is the final test of a gentleman: his respect for those who can be of no possible value to him. Tolerance implies a respect for another person, not because he is wrong or even because he is right, but because he is human. Tolerance only for those who agree with you is no tolerance at all. Bruce Lee said, “Knowledge will give you power, but character respect.” It takes no compromise to give people their rights. It takes no money to respect the individual. It takes no survey to remove repressions. We firmly believe that respect is a lot more important, and a lot greater, than popularity. And one of the most sincere forms of respect is actually listening to what another has to say. This said, what has the Director of Public Prosecutions got to do with respect for the president? And since respect is a two way affair, why hasn’t the Director of Public Prosecutions pronounced herself on Edgar’s lack of respect for the dignity of others, abuse of the freedoms and rights of others? Will people not be justified to denounce her as a Patriotic Front cadre, biased and seriously lacking independence? The duties of the Director of Public Prosecutions must not only be performed firmly and to their legitimate strength, but must also be carried out fairly. The function of the Director of Public Prosecutions is a matter of public duty than which in civil life there can be none charged with greater personal responsibility. It is to be efficiently performed with an ingrained sense of the dignity, the seriousness and the justness of judicial proceedings. communicated directly, indirectly or even by implication. Independence in prosecution decision-making is of crucial importance in our legal systems in order to preserve the separation of powers, the just rule of law and, ultimately, our form of democracy. It is the reason why the Director of Public Prosecutions has been given security of tenure by the Constitution. It is the primary means by which general community acceptance of, and support for, the Director of Public Prosecutions’ work may be guaranteed. employment for more senior prosecutors; protection against arbitrary dismissal is a minimum requirement. And appropriate resources must be provided to the office of the Director of Public Prosecutions to enable that function to be carried out effectively and efficiently. 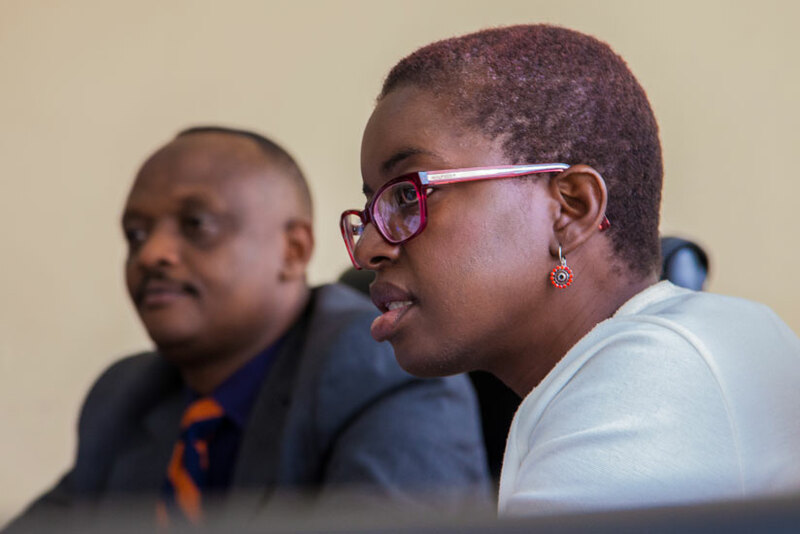 Proper leadership, training and support must be provided to prosecutors to enable them to attain and maintain appropriately high professional standards. Publicly available policies and/or guidelines should be promulgated to serve as benchmarks against which the performance of prosecutors may be assessed. to respect it and to support its execution. Disorder and vigilantism may gain a hold.